Whistling Ears? Just Read this! Tinnitus is noise or ringing in the ears. A common problem, tinnitus affects about 1 in 5 people. 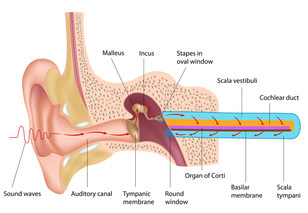 Tinnitus isn't a condition itself — it's a symptom of an underlying condition, such as age-related hearing loss, ear injury or a circulatory system disorder.it's especially common in people over age 55 and strongly associated with hearing loss. Many people worry that tinnitus is a sign that they are going deaf or have another serious medical problem, but it rarely is.